Wilhite & Frees Equine Hospital is a 100% equine referral and ambulatory practice serving Kansas City and the surrounding states since 1998. The practice moved into its state-of-the-art facility in 2006. Wilhite & Frees Equine Hospital offers a hands-on externship for students seeking a shared experience in both equine ambulatory and hospital practice. Our practice includes five full-time veterinarians and three consulting veterinarians, six veterinary assistants, and three office staff (reception, scheduling, billing). With two board certified surgeons on staff and a consulting ophthalmologist, dermatologist, and veterinary chiropractor we provide referral service to Missouri, Kansas, and portions of the surrounding states. Our clientele consists of English and sport horses, racehorses, western performance, pleasure, and gaited horses, as well as broodmares and retired horses. Our ambulatory service provides general health and wellness care, dentistry, lameness, reproduction, and acupuncture. In-house, we offer elective and emergency surgical care (including arthroscopy and laparoscopy), medical management and diagnostics, as well as advanced reproduction and imaging. Our facility was constructed in 2006. The hospital has a surgery room, two induction/recovery stalls, a special procedures suite, treatment area, pharmacy, laboratory, 7 stalls, a round pen, and lameness pad. The laboratory is equipped with CBC, chemistry, and fibrinogen machines. We have computed and digital radiography, digital ultrasounds, 1-meter and 3-meter video-endoscopes, IRAP, platelet rich plasma, stem cell therapy, shockwave therapy, pneumatic and electric dental equipment, as well as Game Ready. Extern candidates should have an interest in pursuing a career in equine medicine and have prior experience in handling and treating horses. The externs will generally assist with routine appointments, emergencies, and the care of hospitalized patients. We see a wide variety of cases including both ambulatory and in-house and thus will make every effort to divide the externs time evenly between these. Externs should have a strong work ethic and positive attitude. The externship is designed to provide exposure to all areas of progressive equine practice including routine wellness care, advanced medical and surgical care, emergency care, and management. We also utilize the program as an opportunity to meet potential intern candidates. 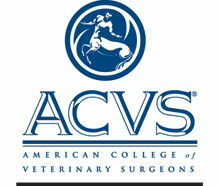 We accept veterinary students for externships year round on a first-come, first-serve basis. However, we strongly encourage externships to be scheduled between February and October to facilitate a broader learning experience. Generally, we have 1-2 students visiting at a time and typically students stay for 1-2 weeks. We provide onsite housing for 2 students at a time including a bedroom, kitchen, bathroom, and laundry facilities. All students are required to have medical insurance and professional liability insurance for the duration of their externship. Professional liability insurance can be obtained through the AVMA-PLIT. The Wilhite & Frees Equine Hospital internship is a yearlong position that will provide exposure to routine health care, lameness, referral medical and surgical care, anesthesia, and components of practice management. This experience will provide the necessary skills to compete for a residency or to successfully enter private equine practice. The first 2-3 months the interns work closely with each of the staff veterinarians to acclimate to our practice philosophy, standards of care, and to be introduced to our clientele. Following this period the interns will continue to assist in surgery, perform anesthesia, take part in referral cases, but also see primary cases in-house and in the field. We have two internship positions available. The prospective applicants must have a DVM or equivalent degree from an AVMA accredited college and provide a resume /CV, veterinary school transcript, letter of intent, as well as 3 letters of recommendation. An externship visit is also encouraged. More information about the internship is available on our AAEP Avenues page. Deadline for the application for the 2016/2017 year is November 1st, 2016 and applicants will be notified by November 30th, 2016.